With over thousand installations in over 80 Countries, ViciDial has become a serious alternative for many call center operators. In some countries ViciDial even have already become the standard for call center operation. The combination of high reliability and low cost is convincing an increasing number of companies to switch from legacy Dialers to our Open Source based product. By now our standard ViciDial system offers such a great deal of features and flexibility that it satisfies the requirements of most contact centers. 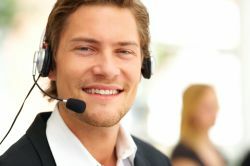 For those of our customers that have so unique requirements for their call center that they will require modifications to ViciDial, we are able to quickly expand functionality or add features. We can customize ViciDial to your company's needs better than anyone else in Europe so that you won't have to settle for a system that doesn't quite meet your requirements. Any custom modifications we make to your system will be fully guaranteed to function as specified and if possible integrated into our branch of ViciDial to make sure future updates are possible with least possible effort. We have successfully completed many other consulting projects as well. From migrating to open-source systems to redesigning the IT and telephony infrastructure of an entire company, we have the experience to get your project done on time and on budget with the right hardware and software for your needs. With more than 5 Years of experience Servicing Installations of all sizes in the (EMEA) Europe, Middle-East, Africa Area as well as in North America we are happy to help you with your needs! We are speaking and thinking English! Looking for Service in the US? Training must be booked 7 Days in Advance!